The various smartweeds and knotweeds are found throughout the world. The plants are sometimes known as heart’s ease. Worldwide, there are over 200 species. About 39 species are found in the U.S. with around half of those occurring in the Great Plains. 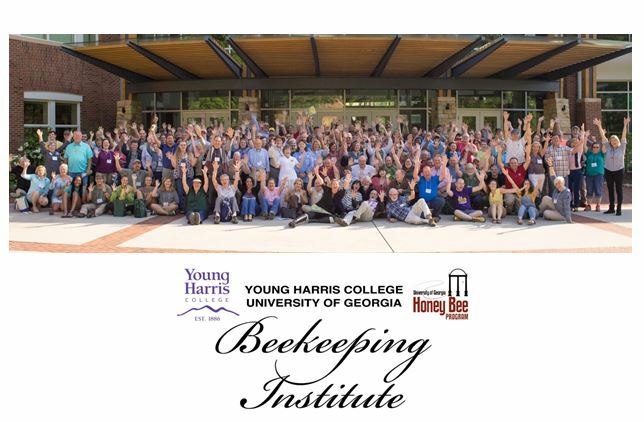 They’re major bee plants in the West, Southwest, Plains, and the Southeast. One main difference between the smartweeds and knotweeds is the location of the flowers. On the latter, they arise in the leaf axils while those of the former appear in terminal clusters. Certain species are better honey plants than others. 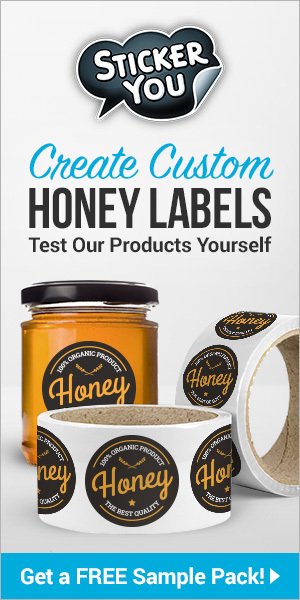 The honey can vary considerably, according to the location, weather, soil, and plant species. Members of the buckwheat family, these can be annual, perennial, or shrubby. They usually grow from a tap root. Certain species are adapted to aquatic situations. Some of the introduced ones have naturalized and become quite invasive. The various species vary greatly in growth habit, appearance, and size. Some are quite tall – over 10 feet. These can be erect, climbing, scrambling, or trailing. The Latin genus name refers to the swollen nodes on the jointed, slightly angled stems. Knotweed is named for the sheath that encircles the nodes on the stems. The plants are called smartweed because they have a sharp, peppery flavor and their plant juice makes one’s eyes run. The leaves are at least an inch in length although in a few cases they’re much larger. The shape varies widely from linear to lanceolate or elliptic. The blossoms typically open from July or so to October, depending on the species. The small, showy, bracted blooms are brightly colored. They open on jointed short pedicels in clusters, spikes, or racemes. The colorful part of the blossom is the perianth, which is often pink or red. The white calyx can have a pink, white, or yellow border. For the most part, these are generally found in bottomlands, low woods, moist spots, and fields. They’re also suited to ditches, meadows, coastal areas, dunes, swamps, marshes, clearings, low ground, railroad yards, waste places, thickets, prairies, and disturbed sites. Some are suited to wet spots, while others prefer dry, rocky, or gravelly soils. Of the many species of smartweeds and knotweeds that are found in America, the following are known to be good bee plants. Native only to California, this species occurs in some areas of the state, including Mt. Hood. It can be found most frequently in Napa Valley, the northern Sierra Nevada and a number of other northern locations. It is most common in the lower foothills but can occur to slightly over 5000 feet elevation. Its preferred habitats are rocky, open areas, especially stony outcroppings. The species favors sandy loams, but is suited to very poor soils. Bolander’s knotweed is intolerant of salt. Often low growing, this plant can sometimes be shrubby. The tangled, slender, tough, wiry stems can reach about 1½ feet in length. Bolander’s knotweed features slender, alternate foliage. The pink or white blossoms with deeply colored veins open from the upper leaf axils. These emerge from July to October. Although the plant is less common than some knotweeds, it is considered a reliable bee plant. Bolander’s knotweed typically produces a small honey crop even in poor years. There is generally an average of 20 pounds per colony. The amber colored honey is mostly left on the hives for the bees. This species features numerous common names, including smartweed and pale smartweed. Found in all of the lower 48 states in damp places and gardens, this annual was introduced from Europe. Reaching six feet in height, this has dotted stems with yellow glands. The foliage features clear glands. Variable in shape, the alternate leaves can be eight inches in length. The very variable plant is similar to lady’s thumb except for the flower color. This one features flowers that vary from light rose or dull pink to whitish-green. Opening during late Summer and Fall, these appear on nodding spikes. This species can produce a small honey surplus. One particular variety (Polygonum lapathifolium var. incarnatum) is known to be a source of honey in some regions. This fast growing, robust, spreading perennial was introduced from Sachalin Island, which was once part of Japan. The plant has naturalized in some states, including Alaska, Washington, Montana, Oregon, California, Idaho, Louisiana, Minnesota, Wisconsin, Illinois, Michigan, Ohio, Kentucky, Tennessee, New England, and from Pennsylvania to North Carolina. 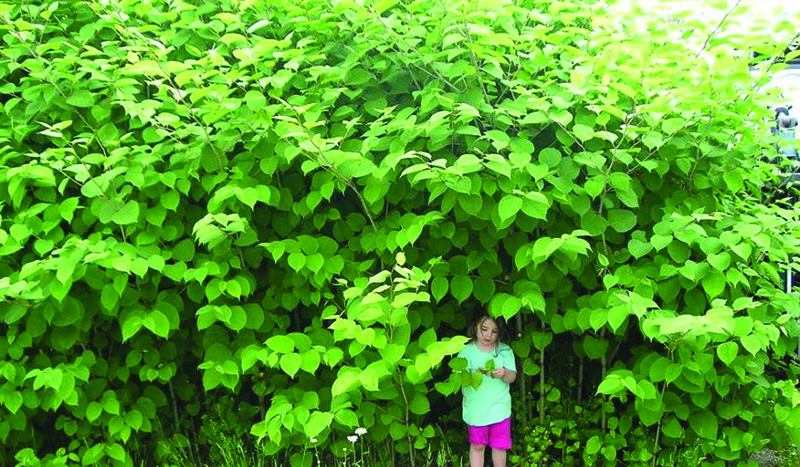 Giant knotweed is quite similar to common knotweed except this species is much taller and rather coarse looking. The angular stems are marked with lengthwise lines. The foliage grows to ten inches in length and is almost as wide. The leaves have a heart shaped base. The greenish blossoms open from July through September, depending on location, in crowded short clusters from the leaf axils. Bees are particularly fond of the flowers although the plants generally aren’t known for yielding large honey surpluses. The tips and young shoots are eaten cooked and raw in Japan. This is sometimes made into a rhubarb-like, tart tasting sauce. The seeds or fruits are also eaten. Japanese knotweed is also known as Japanese bamboo, Japanese fleeceflower, and bamboo. Introduced from Japan and China, this fast growing, invasive perennial has naturalized in some areas. It is found in all states except Hawaii, Texas, Arizona, New Mexico, Nevada, Wyoming, North Dakota, Alabama, and Florida. Usually shrubby, Japanese knotweed is a vigorous plant that forms dense colonies. It spreads mostly by rhizomes, which can be over 40 feet in length. Sometimes, the offshoots spread as well. Several varieties of the plant can be found. Reaching 10 feet in height, this plant features erect, stout, smooth, hollow, jointed, grayish, mottled stems that resemble bamboo. During the Spring, the young shoots can be cooked as a vegetable. The Latin species name refers to the abruptly pointed foliage. Generally alternate, the leaves, which grow to six inches in length and feature scalloped edges, can vary in shape. Often they’re heart shaped at the base. This species is quite floriferous and is covered with small flowers, up to ½-inch in length. The whitish green blossoms, which lack petals, feature five sepals and a winged calyx. These open from May to October or so. More numerous on the upper part of the plant, they open terminally in six-inch-long terminal clusters or in racemes from the leaf axils. Opening on separate plants, the female blossoms droop, while the males are erect. Well liked by bees, the blossoms provide bee forage when little else is available. The amber honey has a pleasing flavor. This is sometimes called heart’s ease, spotted knotweed, and spotted lady’s thumb. Introduced from Europe, this has naturalized in all states except Hawaii, particularly in damp or disturbed sites. It commonly occurs in all regions. There are several varieties of this annual. The plant spreads by seed. Reaching three feet in height, this has forked or branched, erect, reddish stems that are swollen at the base. Sometimes, they’re hairy, especially along the fringed sheaths. Resembling those of peach trees, the sticky, slightly rough leaves are easily identified by a dark blotch, which was once described as resembling a lady’s thumb print, in the center of the leaf. Up to six inches in length, the foliage can be oval or lanceolate. The tender, young leaves and stems are eaten raw or cooked. Lady’s thumb blooms from June through frost. The blossoms emerge on terminal flower panicles that contain a number of crowded flower spikes, up to two inches long, which are usually interrupted on the lower portion. The blossoms are only ¼ inch or so in length. The flowers are typically pink but sometimes come in various other shades, including white, green, or purple. Lacking petals, these contain four to six colorful sepals. The calyx is generally pink but can also be purple, green, or white. One of the best species for bees, this is a very good honey plant. 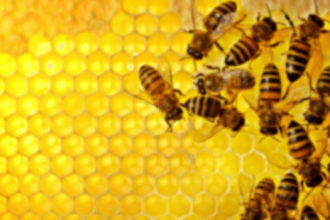 It typically yields 100 to 200 pounds or more of honey per colony. Initially, the aroma can be slightly unpleasant, but it mellows with time. Tending to granulate easily, this can be white, pink, or various shades of amber. In the comb, it is very white. The flavor is influenced by the weather and soil conditions. The honey quality can vary somewhat. Higher quality ones, which are usually labeled as heart’s ease, have a mild, pleasing taste. The others, known as smartweed honey, are usually darker colored and stronger flavored. This variable perennial is found in many areas of the country. It occurs in both aquatic and terrestrial habitats. The terrestrial forms are typically found along shores, swamps, prairies, meadows, ditches, and harbors. Its stems can be hairy. This features long, slender, lanceolate leaves. The foliage can be rough on both surfaces and quite hairy. The pinkish blossoms open from June through September on terminal spikes. 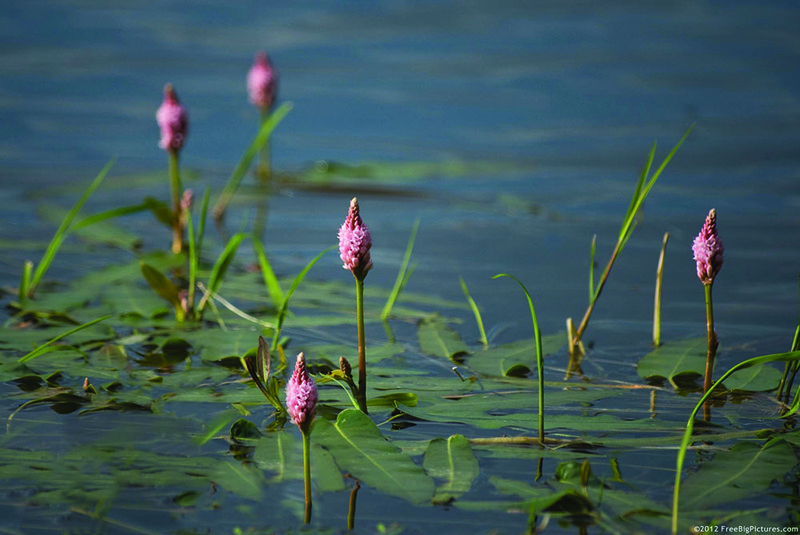 One particular variety (Polygonum amphibium var. emersum) is called pinkweed, water smartweed, heart’s ease, and tannin plant. It is known to be an excellent bee plant. Sometimes called pinkweed, this species is found in all states except Hawaii, Utah, Idaho, and Washington. It occurs most frequently in moist and wet soils. Spreading by seed, this annual reaches five feet in height. The branched, erect or ascending, jointed, sticky, reddish stems, often hairy, are swollen at the nodes. Sheaths surround the lower part of the stems. Either alternate or opposite, the thick, shiny leaves, six inches in length, can be hairy. They can vary in shape. Opening from May through October, the abundant flowers, ¼ inch in length, open on crowded racemes or spikes, about 2½ inches long. The blossoms are usually pink or rose, but are sometimes white. Lacking petals, these feature showy sepals and a pink calyx. The female flowers can open on separate flower spikes. Pennsylvania smartweed produces lots of pollen. 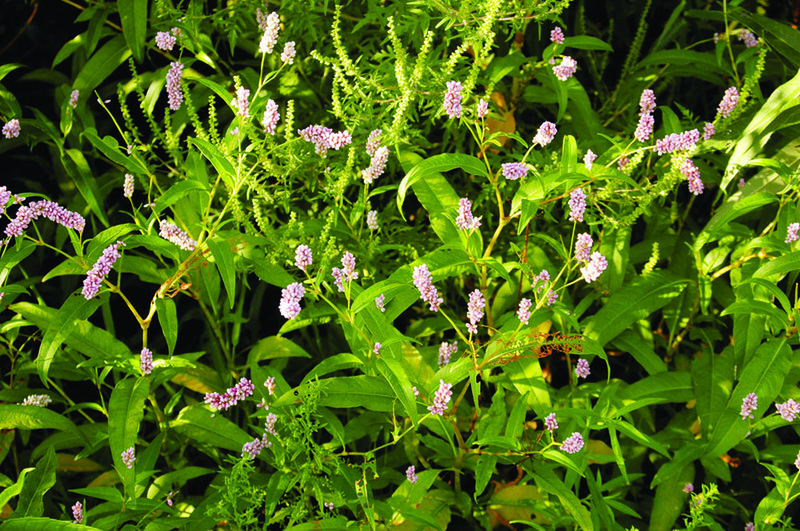 Native Americans used Pennsylvania smartweed for medicinal purposes. Also called silver lace vine, this bee plant is closely related to the smartweeds and knotweeds. The fast growing, slightly woody, twining, deciduous plant has stems that can grow up to 20 feet annually. Hardy to zone 4, this Asian introduction has escaped from cultivation in some areas and is typically found along fences and walls. The very tiny, pale green foliage is often heart-shaped. This very floriferous plant is covered with scented flowers that open in dense clusters for several weeks during late Summer. Bees favor the flowers, which are sources of nectar and pollen although the plants aren’t known to yield honey. Sometimes called dotted smartweed, this species is found in all of the lower 48 states except Nevada and Utah. It grows in swamps, low ground, wet places, moist meadows, and along shores. An annual or perennial, this arises from tough rootstocks. It can be slightly over three feet in height. Water smartweed can assume a loosely spreading growth habit. The firm, dark green, lance-oblong to broadly lanceolate foliage is over an inch wide and nearly 5½ inches long. The leaves are covered with dotted glands, which can be clear or colored. Water smartweed blooms from July through October. The blossoms open on spikes that contain a number of panicles. The calyx, which is dotted with glands, is usually white with green but is occasionally rose. This species is an especially good bee plant, particularly in the East. 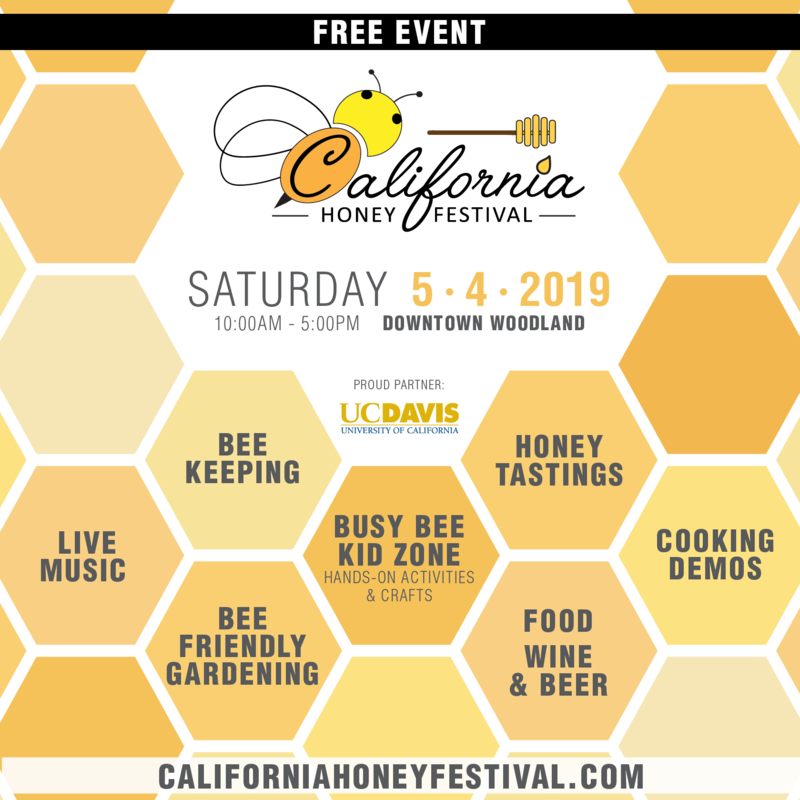 In California, it has been known to yield a lower quality honey that is darker in color. A number of water smartweed varieties occur in some areas. Some are branched and grow to less than a foot in height. One particular variety (Polygonum punctatum var. punctatum) is an excellent honey plant. It is known as dotted smartweed.